Twenty teams competed over 48 matches at 13 venues from Brighton to Newcastle during the six week competition, and host broadcaster ITV Sport tasked NEP Connect with providing all the connectivity services. NEP Connect was asked to deliver live video and audio feeds to ITV, as well as feeds to IMG for global distribution. We took our critical connectivity services beyond anything offered to the media market before, by using our unique infrastructure and resources to offer the most resilient RWC connectivity ever, including fibre as the primary path, backed up by satellite and microwave. The project was led by a 79-strong “NEP Connect Rugby team” focused on delivering the event. This included 11 fibre specialists, 22 mobile satellite communication engineers, 15 network operations centre engineers, manufacturing and software engineers, scheduling and planning staff, projects and purchasing teams, and drivers. Before the tournament kicked off on September 18, 2015, NEP Connect spent 19 months tendering, meticulously planning and delivering a secure, reliable and diverse connectivity infrastructure, drawing on years’ worth of skills and experience, backed up by state-of-the art technical capability. He added: “The value of sporting events to broadcast rights holders can be huge and failure isn’t an option, so having more than one path out of any venue is critical. 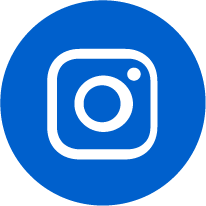 SIS has dedicated years to building up a comprehensive and resilient infrastructure, and we are the only company who can provide diverse routings across three technologies, which insures against coverage interruptions. NEP Connect updated ITV Sport throughout the project phase on a weekly basis – and then later on a daily basis to ensure that information and details on timings of completion of work was always visible to key stakeholders. The first challenge facing the NEP Connect operations teams was the fact nine venues were without fibre links. It was also decided that the key venues should have microwave links, as an added insurance to ensure uninterrupted connectivity, and that everything should be in place well ahead of the first game of the tournament. Access to sports venues can be extremely difficult and many of the stadia, especially the smaller ones unused to large crowds and TV cameras, were undergoing modifications to get them match ready. In some instances venues were classed as construction sites, which required everyone to go through rigorous induction processes. The NEP Connect projects teams worked hard to build relationships with key stadium staff to assist our installation partners Vodafone with access for surveys, risk assessments and installation work, as well as to obtain access and traffic management agreements if required. 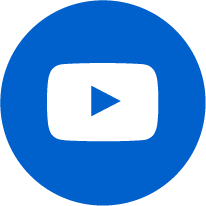 We rolled out fibre links to the new venues and equipped them all with the latest codecs, providing high quality low latency video links. Each permanent fibre link connects the venue to Vodafone’s national fibre network. 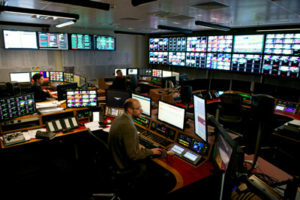 This is in turn connected to NEP Connect’s Network Operations Centre (NOC) in MediaCityUK, which together with the Milton Keynes NOC, manages and distributes critical media content from venues to major UK and overseas broadcasters. Microwave radio links were installed to give a third layer of protection at key stadia Twickenham, Olympic Park, Millennium Stadium and Wembley. Vodafone was instructed to provide microwave links to a different POP (point of presence) than the one used for the fibre connectivity, to give diverse redundancy for the circuit. In this instance it was routed to our NOC in Milton Keynes and not MediaCityUK. NEP Connect’s renowned satellite coverage as Europe’s largest uplink supplier meant we could draw on our technical expertise and extensive experience of providing critical connectivity at sports events to determine appropriate uplink facilities. Ten single and three highly-specified dual antenna uplink trucks, with over 12,000 MHz of satellite capacity, provided comprehensive back-up to the fibre links, to ensure continuous high quality coverage. Despite the challenges and timescale, all fibre and microwave links were delivered on time without any major technical issues. Once the links were in place, the extensive testing process began to ensure NEP Connect could continue to prove itself as the reliable connectivity partner of choice who could deliver the highest possible broadcast quality. 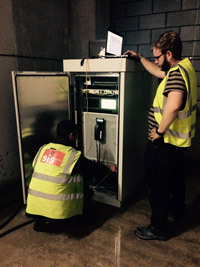 Following earlier tests of our new fibre venue networks, the first to be aired was on 29th August at the Barbarians v Samoa match at London’s Olympic Stadium, when SIS’ resilient connectivity delivered high quality, low latency HD video coverage of the game. NEP Connect’s NOC and teleport at MediaCityUK distributed and managed the feeds, with a disaster recovery NOC at SIS’ Milton Keynes headquarters. The match, broadcast on ITV4, went without a hitch. Throughout the RWC, one of the most challenging issues we faced was the logistics of moving staff, uplink trucks and cabling from one venue to the next, within short timeframes in the early part of the competition. Stringent planning documentation was produced to ensure each team knew where they needed to be and when, as up to four matches per day were played. Staff also had access to a 24-hour online information portal. All went to plan and NEP Connect suffered no issues with the logistics, with people, vehicles and equipment arriving on time. 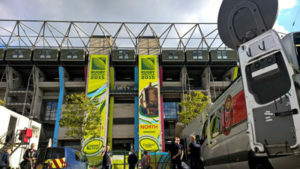 From the opening ceremony at Twickenham, throughout 48 matches broadcast live from the 14 stadia, we facilitated around 2,000 transmission hours via satellite, fibre and microwave. ITV Sport had at least one of the connectivity paths open to it at all times. Media coverage of every game, including the 271 tries and 2,439 points scored, was delivered to ITV Sport in the highest quality. Roger Pearce, technical director, ITV Sport, said: “From the planning stages right though the competition itself, NEP Connect did an excellent job of keeping us informed of their progress as they worked to meet all our requirements. Their teams helped smooth the way for access to stadia and worked closely with our own project managers across the board.